Summer is just around the corner and temperatures are starting to rise. As much as everyone loves fun in the sun, summer in big cities means more than weekends at the beach. It means hot steamy days and garbage baking in the sun. And where there’s garbage, there’s rats — lots and lots of rats — scurrying through the streets and into subway stations. While long-time residents tend to chalk it off as part of city life, these disease ridden rodents really aren’t the kind of company you want to keep. Some of the “rattiest” cities are fighting back and you can too. Last week, even our nation’s capital made the news. Washington DC is experiencing such severe rat infestations, some estimates say humans only outnumber rats by just three to one! The Capital’s Department of Public Works even dedicated one of their monthly live chats to the topic of rodent control — advising residents to call 311 to report rat sightings. Chicago and New York have made headlines too. New York City is spending about $3 million on rodent control this year alone. In NYC, war on rats has been declared, with a focus on finding rat “reservoirs” and attacking the area with an assault of traps and poison baits. Chicago has adapted new technology to deal with its rat problem after being named America’s Rattiest City in 2014. They’ll be using data collected from multiple municipal departments and combining it to forecast and eliminate rat infestations before residents start complaining about rodent sightings. Reducing rodent populations is important for public health and safety. 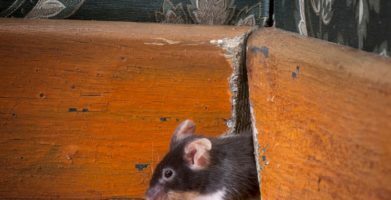 Rats and mice can carry over 30 different known diseases like plague and hantavirus, cause property damage and can even inadvertently start fires by chewing on electrical wiring. 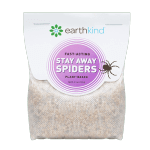 However, using poisonous chemicals to control pests also comes with risks. You may be used to seeing rats in the subway, but when they’re strutting down the street, playing at the park, and queuing up behind your favorite food truck, you might start wondering where they all came from. 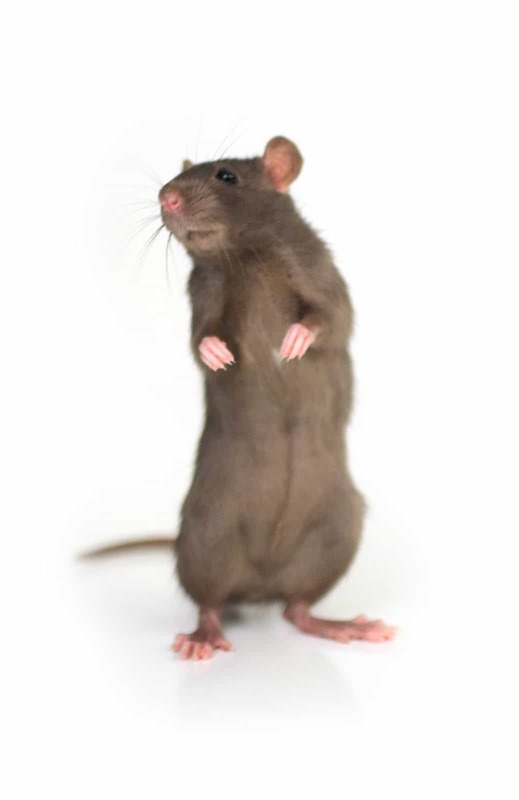 There are actually two different kinds of rats that are common in the United States: the Norway rat and the roof rat. The Norway rat (aka the brown rat) is the guy you see in the subway, sewer or basement. These guys tend to have thicker bodies and a tail that is slightly shorter than their body. Roof rats often live in trees or fence lines that have vines or other vegetation nearby. Roof rats (aka black rats) have also been known to use power lines to reach the roof accesses of warehouses and industrial buildings, which explains their name. They have a slender shape to them and their tail is slightly longer than the length of their body. Although each type prefers different places, they are both after the same things: food, water, and shelter. Both black and brown rats have a highly developed sense of smell. They use their noses to detect food sources, to help them navigate, and to pick up the scent of a predator or poison. All rodents pose the same threats to people of spreading disease and damaging property. Rodents can even endanger your pets, primarily because the poisons used to get rid of rodents will have the same harmful effects on pets if ingested. An animal that eats a rat or mouse who has eaten poison will suffer the effects as well. If you think your pet has consumed rodenticide, or any other poison, contact your veterinarian or the Pet Poison Helpline immediately. Rats and mice like to take a break from the heat and come inside to cool down sometimes. 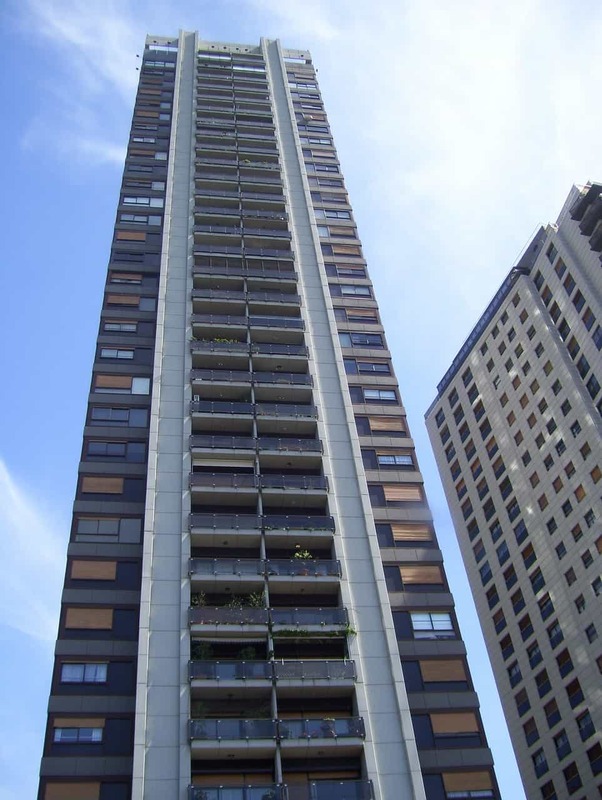 They will seek out climate controlled homes, buildings, and even air conditioning units themselves. 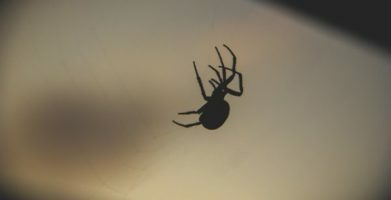 If you are noticing a population surge in the streets during summer months, be prepared for uninvited house guests too. If you find a rat in your home, knowing which type of rat it is will help you figure out where they are coming from. Brown rats stay close to the ground; they may sneak into buildings through cracks in the foundation, dryer vents, or even by swimming up plumbing pipes. Black rats get inside through roof accesses, open windows, or any cracks, gaps or holes on a building’s roof or exterior. Black rats are excellent climbers and can run along utility lines, or use trees, vines, and trellises to reach high areas. Rodents don’t care what your address is, they are motivated to meet their most basic needs and everywhere in the city offers equal opportunity to them. No matter where you live, you still eat and make trash. Food scraps and garbage look like invitations to rats. During a recent online interview from her home, viewers spotted a rat running behind Madonna in her ritzy mansion — imagine the expensive things that rat must have chewed up! The best way to get rid of rats is by working together. Neighbors, communities and city departments can all help control rodent populations, or contribute to rodent problems, depending on their actions. If you see rodent activity, report it to the Department of Public Health — this can be done by calling 311 in many cities. Use a garbage can with a tight fitting lid. Store food in chew proof containers like glass mason jars or metal canisters. Clean up spills or leaks right away and don’t leave pet food sitting out all the time. Keep furniture and appliances either flush against the wall or with enough space to clean under, around, and behind them regularly. 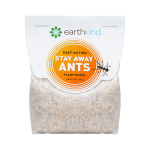 A scent based repellent will cause rats and mice to avoid treated areas. One pouch of Fresh Cab® Rodent Repellent or Stay Away® Rodent has been proven effective to keep rodents away in a 125 foot space for up to 90 days when used for prevention. While the rats may be content to run amok in the streets during the summer, they like a warm home when it gets cold outside. 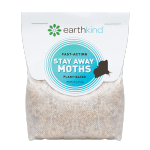 Preventing pests now will save you time and money in the fall. You love life in the city and so do rats, but you certainly don’t have to live together! Natural pest prevention is the most the most important part of any pest control plan for long term sustainability. Doesn’t DC experience a rat infestation every time Congress convenes? Summer is just around the corner and temperatures are starting to rise. 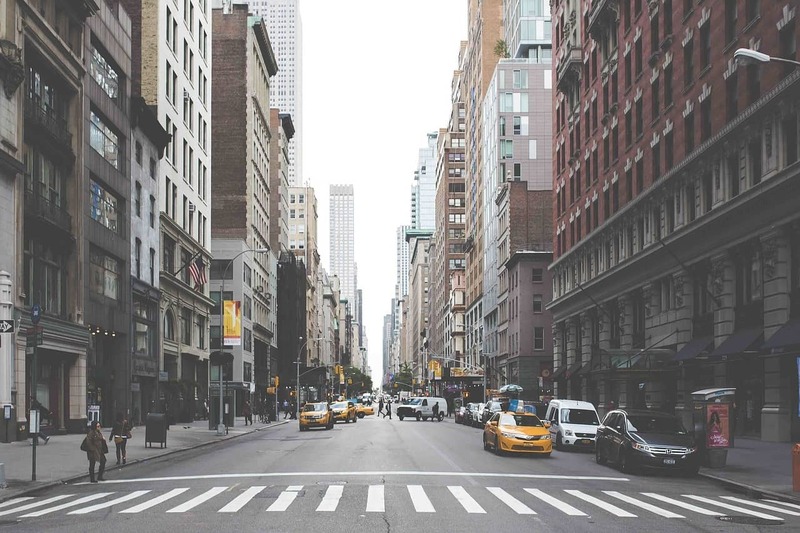 As much as everyone loves fun in the sun, summer in big cities means more than weekends at the beach. It means hot steamy days and garbage baking in the sun. And where there’s garbage, there’s rats -- lots and lots of rats -- scurrying through the streets and into subway stations. Last week, even our nation's capital made the news. Washington DC  is experiencing such severe rat infestations, some estimates say humans only outnumber rats by just three to one! The Capital's Department of Public Works even dedicated one of their monthly live chats to the topic of rodent control -- advising residents to call 311 to report rat sightings. Chicago and New York have made headlines too. New York City is spending about $3 million on rodent control this year alone. 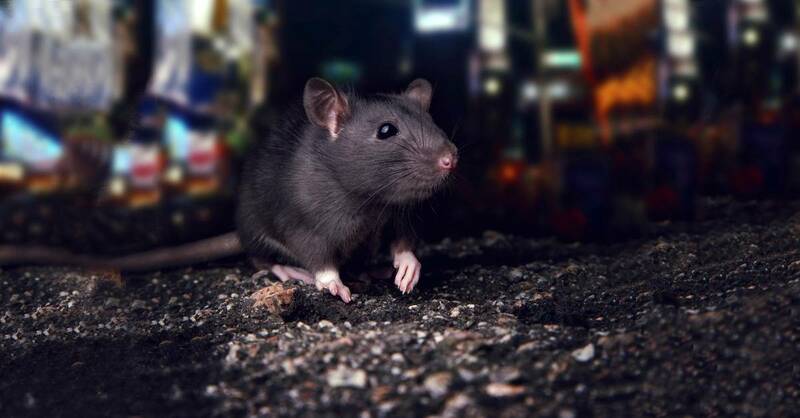 In NYC, war on rats  has been declared, with a focus on finding rat "reservoirs" and attacking the area with an assault of traps and poison baits. Chicago  has adapted new technology to deal with its rat problem after being named America's Rattiest City in 2014. They'll be using data collected from multiple municipal departments and combining it to forecast and eliminate rat infestations before residents start complaining about rodent sightings. You may be used to seeing rats in the subway, but when they're strutting down the street, playing at the park, and queuing up behind your favorite food truck, you might start wondering where they all came from. If you find a rat in your home, knowing which type of rat it is will help you figure out where they are coming from. Brown rats stay close to the ground; they may sneak into buildings through cracks in the foundation, dryer vents, or even by swimming up plumbing pipes. Black rats get inside through roof accesses, open windows, or any cracks, gaps or holes on a building's roof or exterior. Black rats are excellent climbers and can run along utility lines, or use trees, vines, and trellises to reach high areas. Rodents don't care what your address is, they are motivated to meet their most basic needs and everywhere in the city offers equal opportunity to them. No matter where you live, you still eat and make trash. Food scraps and garbage look like invitations to rats. During a recent online interview from her home, viewers spotted a rat running behind Madonna in her ritzy mansion -- imagine the expensive things that rat must have chewed up! The best way to get rid of rats is by working together. 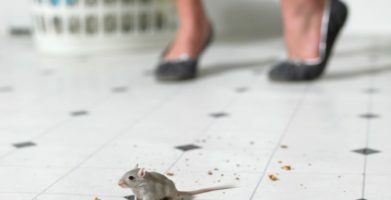 Neighbors, communities and city departments can all help control rodent populations, or contribute to rodent problems, depending on their actions. If you see rodent activity, report it to the Department of Public Health -- this can be done by calling 311 in many cities. Clean up spills or leaks right away and don't leave pet food sitting out all the time. One pouch of Fresh Cab® Rodent Repellent or Stay Away® Rodent has been proven effective to keep rodents away in a 125 foot space for up to 90 days when used for prevention. string(48) "Washington DC, NYC & Chicago Overrun By Rats"